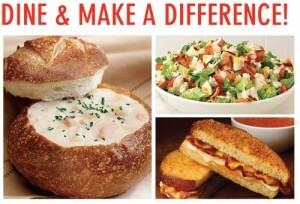 Eat at Boudin at the Village at Corte Madera on Monday, August 4 from 4-8 p.m. to benefit Youth in Arts. Make sure you’re there by 6 p.m. for a special performance by Youth in Arts `Til Dawn! Download and print this flyer and bring it with you to the event, or you may show it on your phone. When you show the flyer, 20% of your Dine-in or To-go purchase will be donated back to Youth in Arts (excluding tax and alcohol). Performance by `Til Dawn at 6 p.m.